BURNETT COUNTY -- A woman facing criminal charges in numerous court cases filed against her in Burnett County Circuit Court has been sentenced. DrydenWire.com reported on October 25, 2018, that Stephanie Larson was facing Burglary charges for allegedly breaking into a Siren, WI residence. According to online circuit court records, the charges filed against Larson in that case were dismissed in a plea deal which resolved all 6 of Larson’s pending criminal court cases in Burnett County. Larson appeared on November 28, 2018 and entered pleas of Guilty to charges of Misdemeanor Theft, Misdemeanor Domestic Disorderly Conduct, Misdemeanor Bail Jumping, and Misdemeanor Resisting or Obstructing. Other charges filed against Larson were all dismissed but read in, including Felony Burglary, Misdemeanor Theft, Misdemeanor Criminal Damage to Property, Misdemeanor Bail Jumping, Domestic Disorderly Conduct, and Disorderly Conduct. Details of these other criminal cases are not known to DrydenWire.com at the time of this post. The Court ordered a withheld sentence for Larson, with 3 years of probation. Conditions of Larson’s probation will require her to complete 40 hours of community service, seek gainful employment, attend a Domestic Violence Program, obtain a Mental Health Evaluation, complete and Alcohol and Other Drug Assessment and comply with any treatment recommended, and maintain absolute sobriety. Larson was also ordered to have no contact with the victim’s in the cases. Online circuit court records also indicate that fund previously posted as bail bond money for Larson were applied towards restitution due in one of her criminal cases. A hearing is to be scheduled to determine the amount of restitution due in another case. 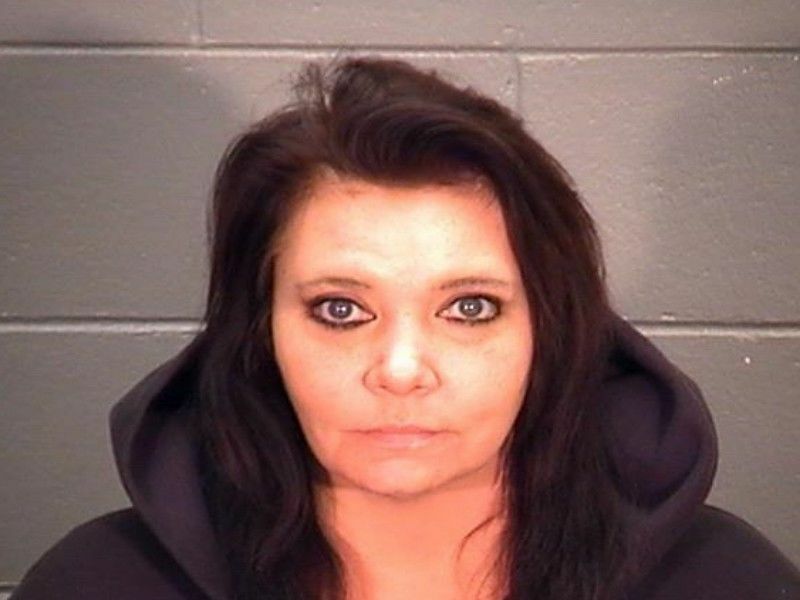 BURNETT COUNTY -- A criminal complaint has been filed against Stephanie Larson in Burnett County Circuit Court charging her with 2 counts of Class F Felony Burglary of a Building or Dwelling, 2 counts of Misdemeanor Theft, 2 counts of Misdemeanor Bail Jumping, and Misdemeanor Criminal Damage to Property. The criminal complaint lists a series of events starting on October 1, 2018, when a report was received by law enforcement stating that Larson had been found passed out on the bathroom floor of a residence on State Road 35. A Deputy responded to the call and was told that after Larson was woken up and advised that the police were being called, she exited the residence and was picked up by a vehicle on Highway 35. During that incident, a Deputy found a broken mirror on a bed in the residence, with dried blood on the mirror. Another call for assistance at the residence was later received by law enforcement, and when officers responded, Larson was at the residence, removing boxes of items. At that time, officers were not able to make contact with the residence owner. On October 3, 2018, another report was received by law enforcement stating that numerous items were now missing from the residence on State Road 35. The residence owner spoke with Deputies on October 4, 2018, and confirmed that items including 2 televisions, a cigarette rolling machine, fleece blankets, DVD’s, CD’s, and 3 houseplants were now missing from the residence. Along with the broken mirror, the residence owner reported a broken front window as well as damage to the front door. Online circuit court records show that Larson appeared for a bail hearing on October 5, 2018, and was placed on a $500 cash bail bond. She made an initial appearance on October 10, 2018, regarding her charges and is scheduled to appear again in November 2018. Larson is also facing multiple other criminal charges including Misdemeanor Resisting or Obstructing an Officer, Misdemeanor Domestic Abuse Disorderly Conduct, Misdemeanor Domestic Abuse Criminal Damage to Property, Misdemeanor Bail Jumping, and Misdemeanor Theft of Movable Property filed against her in numerous other criminal cases in Burnett County Circuit Court. Details of those cases are not known to DrydenWire.com at this time.